As the routine bored the boy, goes a Kashmir folk tale, he cried aloud: “Wolf, Wolf, the wolf is taking away a lamb.” There was instant response from the farmers working in the fields. “Where is the wolf?”The boy laughed and replied: “It was just a fun. Now get going all of you”. In next many days, the boy played the same trick. He continued to get response till it was established the boy is lying. One day, wolf came and took him away. He cried butnobody came to his rescue. After 112 civilians, mostly teenagers, were killed and 3000 others injured in the 2010 uprising, the UPA government in Delhi had a late autumn announcement on October 13, 2010: “three interlocutors chosen for J&K to hold sustained dialogue with all sections of the people in Jammu and Kashmir.”The announcement came from the then home minister P Chidambaram.The trio comprised DilipPadgaonkar, M. Ansari and Prof Radha Kumar. However, report of the trio gathers dust and their leader DilipPadgaonkaris no more. 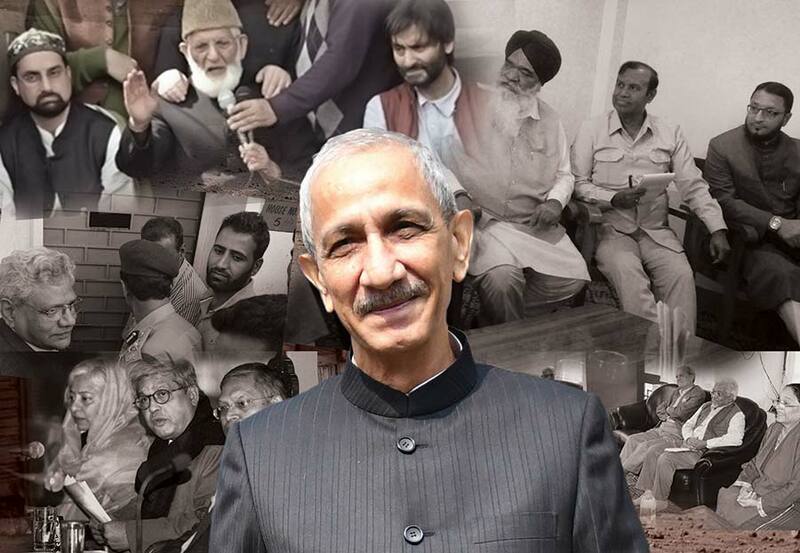 On October 23, 2017, seven years later after the three interlocutors started to “find the path”, government in Delhi, this time led by BJP, appointed a new Kashmir point-man, Dineshwar Sharma to “hold sustained dialogue” with people of J&K. It followed a year after more than 95 civilianswere killed in 2016 unrest, triggered by BurhanWani’s killing in July, as around 15000 people survived with injuries, mostly with pellets. The announcement again came from the Home Minister,this time by the incumbent,Rajnath Singh, BJP’s senior leader. Singh made this declaration over a month after he announced that the government would seek a permanent solution to the Kashmir problem by following a policy of 5Cs – compassion, communication, coexistence, confidence-building and consistency. Once his appointment was formalized, Sharma started talking in Delhi itself. “I am open to dialogue with everybody – all Indian citizens living in J&K,” Sharma said in Delhi. And 10 days after his appointment, Sharma was extended Z-security cover, on the eve of his maiden landing in Srinagar. Prior to his visit, nothing was revealed about his plan. Durbar had already packed up and started resuming routine in Jammu, for the six-month stint. He was received by the divisional administration and escorted straightway to HariNiwas, erstwhile nerve centre of counter-insurgency, where many delegations met him. When the statement was released officially in the evening of his first day visit, his audience included “Youth Sports Forum Qamarwari, City FM owner Tariq Bhat, Students Association Pattan, Youth Sports Fraternity, Gujar Association led by Peace Forum Ganderbal, Shikara Association and Youth Forum Kupwara. On second 2, official records reveal many more delegations met Sharma. The prominent ones were PDP youth president Waheed Parra, Sanjay Saraf, J&K WattanPrast Party, Red Winter Youth organization, voice of youth, and many other individuals. The day three, his last day in valley, Sharma came out of HariNiwas to meet unionists. He dropped atthe residences of former chief minister Omar Abdullah and state congress chief GA Mir and later met individual law makers and other political leaders. He flew to Jammu after having a cup of tea with Prof SaifuddinSoz. The only news, other than a clear denial to the meeting, from separatist camp was that somebody from the government had gone to knock at the doors of Syed Ali Geelani. 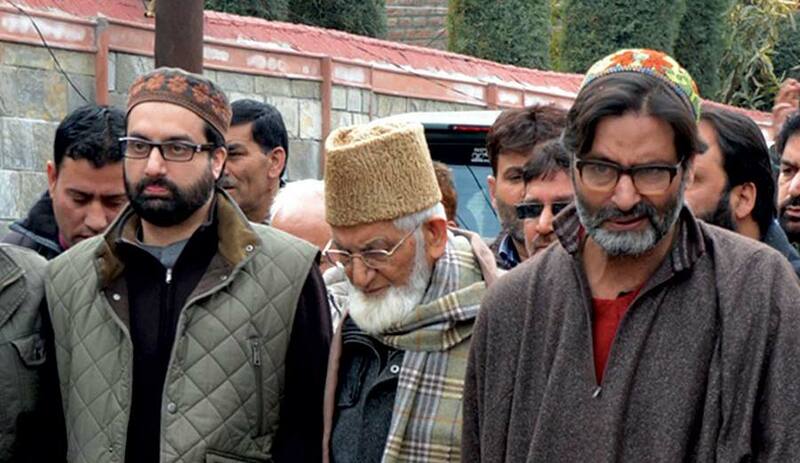 As claimed by the spokesman of Hurriyat (G), that the “state representative arrived during the intervening night of November 4 and 5, and expressed his desire to meet Geelani to facilitate his meeting with designate interlocutor”. In a brief informal talk with media, Sharma said, “I will speak to Hurriyat conference if they are willing to talk to me.” Though that did not materialize owing to “rejection” call from the separatist camp. “Fighting militants is part of security strategy,”a senior police official told Kashmir Life, “but using the same mechanism to deal with public anger on the streets had its own fallouts.” He said dialogue, however, continues to be the only plausible solution. After being in power for over three years now, BJP led government in Delhi felt a need to have a political engagement. A deviation from “no talks” to “talks with all stakeholders”, they finally appointed a man with security background. Sharma’s intelligence background is seen as a questionable qualification for him as an interlocutor. Official circles, however, believe otherwise. Sharma’s appointment was a landmark development in the governance structure but seemingly, therewas no synchronization at multiple levels. It led to a series of doublespeak. Singh even denied the existence of Kashmir issue. “Kaunsavishey? Koi issue nahinhai (What issue? There is no such issue),” Singh said. “Jammu and Kashmir is like any of the other states of India.”The only issue to be addressed, he added, was how to get back areas of Kashmir under illegal occupation of Pakistan. Kashmir is not new to dialogue. For most of the post-partition era, Kashmir has either been seeking a dialogue or actually sitting on negotiation table. With changing regimes, only the names have changed. The process stayed and had no results on the ground. Kashmir has seen succession of interlocutors in past three decades. The first one was APD led by Rajiv Gandhi in March 1990. After this there were many underlying efforts to “break the ice,” said an official working with central government. With change in regime in Delhi, former Prime Minister AtalBihari Vajpayee, who is reference for a soft approach among Kashmir politicians, both unionists and separatists, flew to Srinagar and made that historic peacemaking speech in August 2000. The follow up was done by KC Pant in April 2001 and the process was wound up in 2002. The same year saw new man Ram Jethmalani under Kashmir Committee banner. Though Jethmalani managed to hold talks with separatist leadership, but again nothing came out of it. The next year 2003, BJP appointed N NVohra, the present governor of state to initiate dialogue. Vohra, a former bureaucrat managed to get moderate separatist to meet LKAdvani, the then home minister. With no concessions offered, the impasse sustained. Few months later, current Finance Minister ArunJaitley was engaged to talk, but it was brief stint with no results. Later former RAW chief A S Dulat and journalist R K Mishra too had their hand, but were again failures. 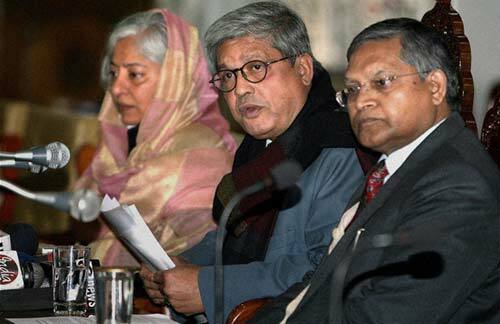 With change in regime in Delhi again, congress led UPA government had a roundtable conference in February 2006. It led to the setting up of five Working Groups led by eminent person and experts. All the groups completed their job within the time frames they got. Reports were submitted but not discussed at the appropriate levels. Now they are consideredas good as forgotten. Chidambaram’s optimism had first reaction from Syed Ali Geelani when the octogenarian termed it as a “dirty trick.” He put forward his conditions of five points “accept Kashmir as disputed territory; demilitarise Kashmir; release political prisoners; prosecute all security forces personnel responsible for the killings of 112 persons during the summer of unrest; and revoke the Armed Forces Special Powers Act”. The conditions were neither debated nor discussed. Aimed at restoring normalcy, it took three interlocutors a year to complete the process and compile a report and finally submitted it on October 12, 2011. The official records suggest that 700 delegations met the interlocutors. The report has many suggestions, but none of the suggestions saw the light of day. The 2016 crisis witnessed BJP’s old hand YashwantSinhaget involved into Kashmir. Leading the Concerned Citizens Group, Sinha met people across ideologies. He compiled his report after multiple visits. “India has lost people of the valley emotionally,”Sinha told a media group after he failed to meet the Prime Minister NarendraModi, even after seeking an appointment. Separatists apart, this time even unionists were feeling low over the announcement. The past memories have shadowed the hope, said a student of Kashmir University. The surprising statement came from the erstwhile interlocutor Radha Kumar. While raising apprehensions, she said the centre’s stand of only looking at what it considers to be ‘legitimate aspirations’ will ‘kill the dialogue even before starting it’. The exclusion of Pakistan makes the process uninviting, said a Srinagar based political reporter. “For any dialogue process to be meaningful and result-oriented, it has to include the three main parties – India, Pakistan, and the Kashmiris,”Pakistan’s foreign spokesperson Nafees Zakaria, insisted. But Delhi is unwilling to see Pakistan’s role, albeit officially. Seven years later, as already one of themhas died, the report is gathering dust along with earlier reports submitted by working groups and individual interlocutors in last many decades. An entrant to valley as assistant director of Intelligence Bureau in 1992, Sharma 25 years later, has a tough task at hand and it remains to be seen the contours of talks he undertakes. Has the stick done its part and will the carrot work now? As said by a middle rung police officer, “the Doval doctrine has reached a dead end.” Really?